Sarah Paulson’s lower lip just went from quivering in fearful anticipation to quivering in joy as FX has announced that she will officially be returning to American Horror Story for its fifth season, AHS: Hotel. 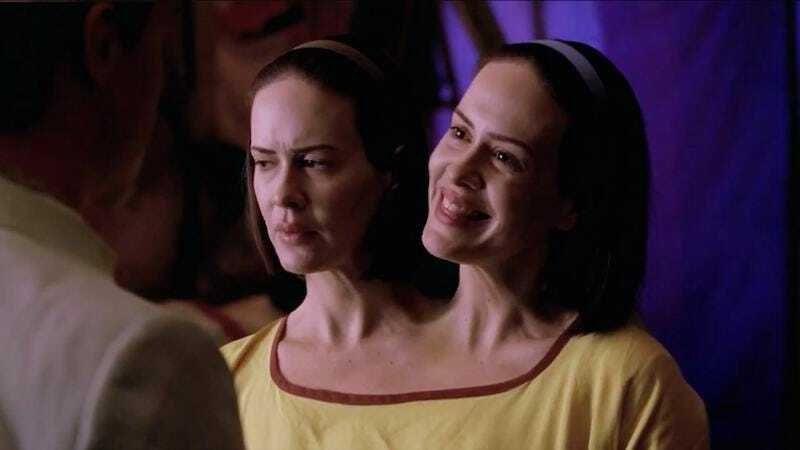 Not that Paulson’s participation in the show was ever in question; not only is she a series regular who has appeared on all four seasons of American Horror Story, she’s also committed to playing O.J. Simpson prosecutor Marcia Clark in Ryan Murphy’s true-crime spinoff series, American Crime Story. Madonna, having caught a whiff of Paulson’s replenished bad-girl essence while in stasis in her cocoon, is already presumed to be lying in wait in Paulson’s dressing room.